a summary of other authors' note-taking guidelines for comparison and reference (Part III). The author uses English throughout – explaining how and where to locate material for other languages – thus providing a sound base for all those working in the areas of conference interpreting and consecutive interpreting in any language combination. This user-friendly guide is a particularly valuable resource for student interpreters, professionals looking to refresh their skills, and interpreter trainers looking for innovative ways of approaching note-taking. 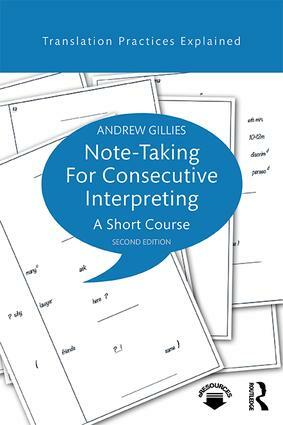 We caught up with Andrew Gillies to discuss his book. Read on for our exclusive interview.